Let’s continue where we left. Finally, Lincoln and Zero Dark Thirty made it to Indian shores—just in time before the Oscars. Was it worth the wait? Read on. Also featuring Tarantino’s Django Unchained. Don’t ya miss it. But please, don’t do the mistake I did: watching it back-to-back after Lincoln. Why? I’ll let you figure that yourself. With a script mostly stripped of Spielbergian clichés, images bathed in silhouettes that speak volumes, and dialogues clothed in profundity, Lincoln is a far cry from the motley showmanship often associated with a Steven Spielberg movie—VFX, heroism, franchise filmmaking, archetype characters, et al. And then, paradoxically, there are the welcome Spielbergian trademarks—sentimentality, family conflict, alienation (and thankfully not aliens) and melodrama. It’s the kind of film and making we wish Spielberg indulged in more often. Based on Doris Kearns Goodwin’s biography on Lincoln, this film is as much about the man “…of the people, by the people, for the people..” as much as it is an enlightening and rewarding cinematic glimpse into the pages of American history (the civil war, abolishing slavery), specially for people, like this reviewer, who are less intimately acquainted with the history of the West. 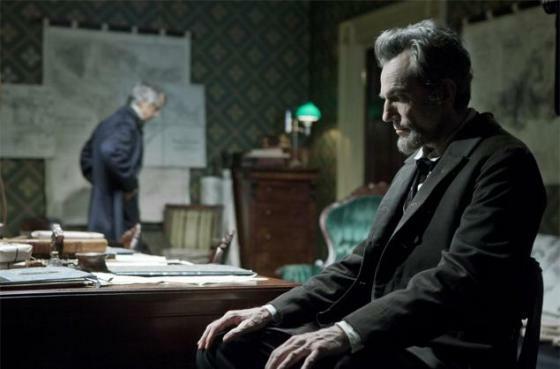 And yet, Lincoln wouldn’t be half the film it is without Daniel Day-Lewis who imparts a sense of stability, restraint and benevolence to the title role. Even if history isn’t your cuppa tea, this one is a must see for Daniel Day-Lewis and the director who introduced many of us as kids to sharks, aliens, dinosaurs, and Indiana Jones. 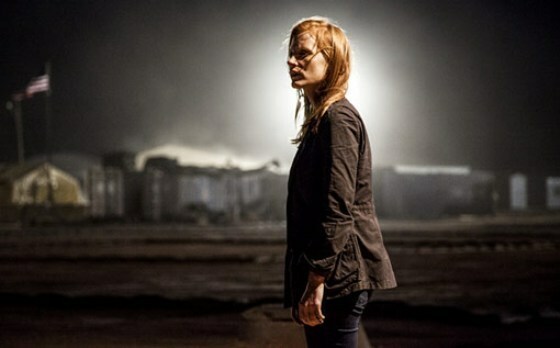 Both, for the audience and its lead character Maya (Jessica Chastain), Zero Dark Thirty (ZDT) is in many ways like angling. Armed with rod, hook, line and sinker, with loads of perseverance, patience, purpose and single-minded focus, the waiting game starts, knowing well that invariably the tide of time will shift, the fish will fall for the bait and the catch will be big—if not today, then another day; if not shallow waters, then deep. And it takes Maya ten long years to get her most coveted catch; and the audience, a long, winding and eventually rewarding viewing experience to join the manhunt puzzle pieces together. ZDT does open with some gruesome interrogation scenes. No lie detectors, truth serums or technological aids. Just brutal, pitiless torture. But soon the narrative treads a different path, focusing on Maya’s trials, tribulations and obsession. From here on it’s Maya’s journey all the way. Yes, Maya’s destination is no different and she’s out to get the most wanted man since 9/11, and yet ZDT might have been a different movie altogether had the focus on Maya not overshadowed the narrative. Unlike other movies in this genre, where technology overpowers and undermines the human effort behind such manhunts, director Kathryn Bigelow’s ZDT clearly underlines the human element with its grim, dark and understated approach. ZDT is a journey worth taking. Holy Smoke: Look Who’s Playing Big Baddie Candie? 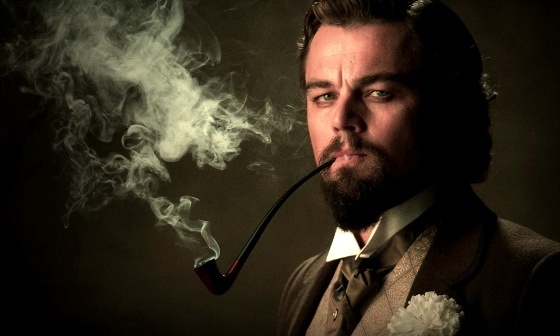 When Django Unchained opens with what else but the original Django theme by Luis Bacalov, to be followed, expectedly, and soon enough by compositions from the godfather of spaghetti western music, Ennio Morricone, you know it’s a Tarantino flick. When Christopher Waltz is consciously typecast as Dr. King Schultz, a jocular, intelligent, charming, German speaking bounty hunter, and starts the flick’s opening conversation in typical Col. Hans Landa, from Tarantino’s Inglourious Basterds, fashion, you…er…know it’s a Tarantino flick. When Django (Jamie Foxx) meets Django (the real Mr. Franco ‘Django’Nero) and preaches to the pope by spelling out his name D.J.A.N.G.O, “The D is silent”, he says, your guffaws will break the silence and YOU GODDAMN KNOW it’s a Tarantino flick. OK! We get the point. Django Unchained has Tarantino written all over it with its unabashed, remorseless, satirical, self-conscious style of filmmaking—a homage within a homage; Tarantino’s homage to Tarantino, which, in turn, is a homage to the spaghetti western. A couple of years back, a fine example of Tarantino’s evolution, Inglorious Basterds, got me thinking, “Is this really Tarantino?” And pat came the reply with Django Unchained, “No dear, now THIS is the real Tarantino”. The Tarantino whose filmmaking is simultaneously self-mocking and self-glorifying, hell-bent on defining and creating its own subgenre—the Tarantino genre. What’s next Mr. Tarantino? Django Strikes Back? Or Django in Chains? Tags: american history, django in chains, django meets django, django unchained, Ennio Morricone, lincoln, Review, spaghetti western, spielberg trademarks, steven spielberg, tarantino, tarantino's homage to tarantino, zero dark thirty. Bookmark the permalink. Interesting thoughts, Prakash – I agree to certain extents on all (though I LOVED Lincoln to the moon and Django was a bit disappointing but still entertaining for the most part). Interesting to see how Lincoln is playing oversees.